Kim Kardashian popularized the whole highlighted and brightened look, and now the whole world is after the perfect product that will help them achieve it. 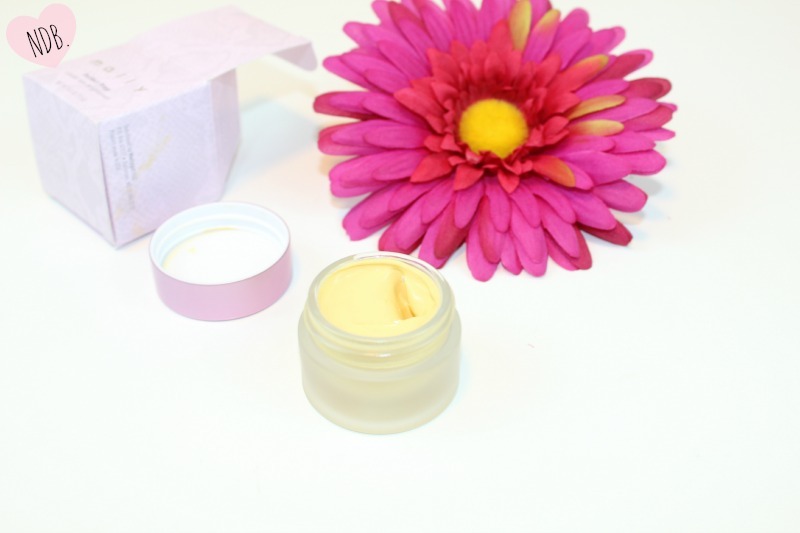 The Mally Perfect Prep Under Eye Brightener costs $35.00 and it comes in a small jar with 0.4 oz (11.4 grams) of product. It claims to create the illusion of flawless skin, while being lightweight, oil-free and hydrating. 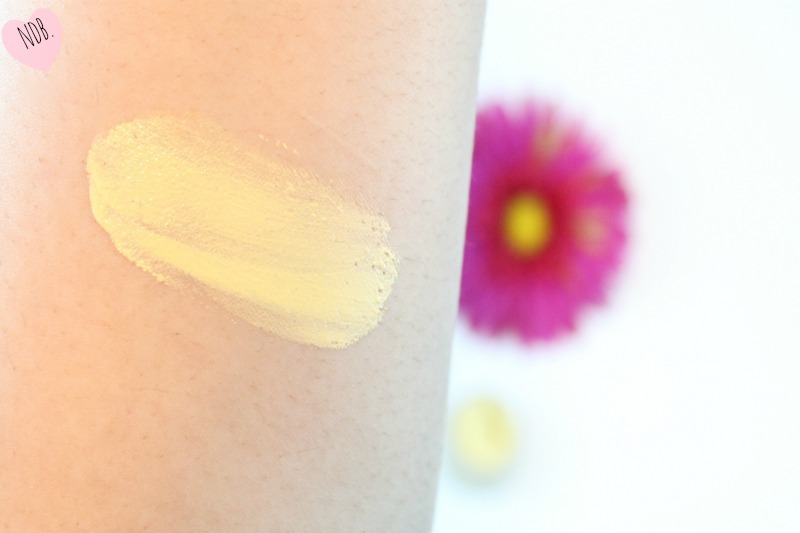 It doesn’t claim, however, to be a concealer, only to be a yellow tinged corrector that will hide any blue toned dark circles under the eyes. The Good | I love a good under eye brightener, and when I saw this I knew I had to have it! The formula is thick and creamy, but it blends out easily. The best way to use this is with a thick dense synthetic brush or a slightly damp beauty blender. Even though the consistency is thick and the formula is pigmented, once it blends out it is very sheer so you must build it up to the opacity you desire. I have the lighter shade, which is more yellow based, so it brightens up the under eye nicely without caking up or looking too dramatic. I would say the coverage is quite natural unless you apply a lot. But, hey, if that’s what you like, go for it! I like to set this with a setting powder and once I do that this baby doesn’t budge or go anywhere. The Bad | We all have those go to products we use in the mornings when we hit the snooze button a few too many times and wake up a lot later than we had planned. Now, we must hurry up and slather something on our face before we rush out the door to work or school. Unfortunately, this product will not be one that is used on those dreadful mornings because the packaging makes this a bit annoying and difficult to use in a jiffy. Now, if this was in an easy to use tube, this would be a different story. Another thing I have noticed about this product is that it does crease under the eyes a bit even when I use a primer and setting powder. However, I tend to crease under the eyes no matter what. Maybe I’m just getting old, maybe I just have an expressive face. Regardless, even products that people swear by, like the MAC Pro Longwear Concealer, still crease under my eyes. Albeit, not as much as this brightener. The Verdict | Overall, it is an okay product– you can definitely find something cheaper that works just as well, if not better. The MAC Prep + Prime Highlighter is one that I really enjoy, and overall I reach for that more than I do this. Also, I think the price is a bit much, but you do get a lot of product that will last you a long time. I wish the packaging was different because then it would be easier to use and more sanitary, which might be the reason why I don’t reach for this as often as my pen-shaped highlighters. Keep in mind, if you have heavy dark circles under your eyes then this brightener might not be enough to really fix all the darkness under them so you may have to conceal before you brighten with this. What are your thoughts about this product? Do you have any favorite under eye brighteners? Let me know in the comments!